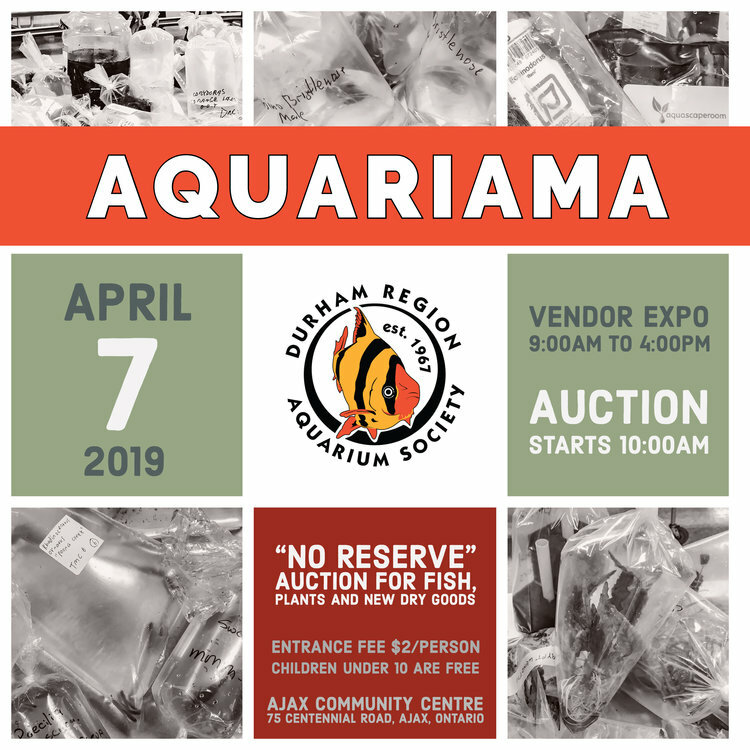 Durham Region Aquarium Society annual auction April 7th - GTA Aquaria Forum - Aquarium Fish & Plants serving the Greater Toronto Area. Any saltwater this time around? Poster says auction starts at 10. Does that mean the lots for auction are available to viewing at that time, or the auctioning off starts at that time? If the latter, can items be viewed before? If I show up at 9 (or 10), will I have to wait till end of show to take home anything I win? Or does it depend on when that item is on the block? Auction starts at ten. You can get in before that and look at items as they are placed on table. Items are auctioned off in table order with ten tables. You can bump an item up to head of the line for $2 anytime you wish. When you are the winning bidder on an item you pay and receive the item right away.